Lucille is a dirty girl, and she doesn’t take any back talk from anyone. 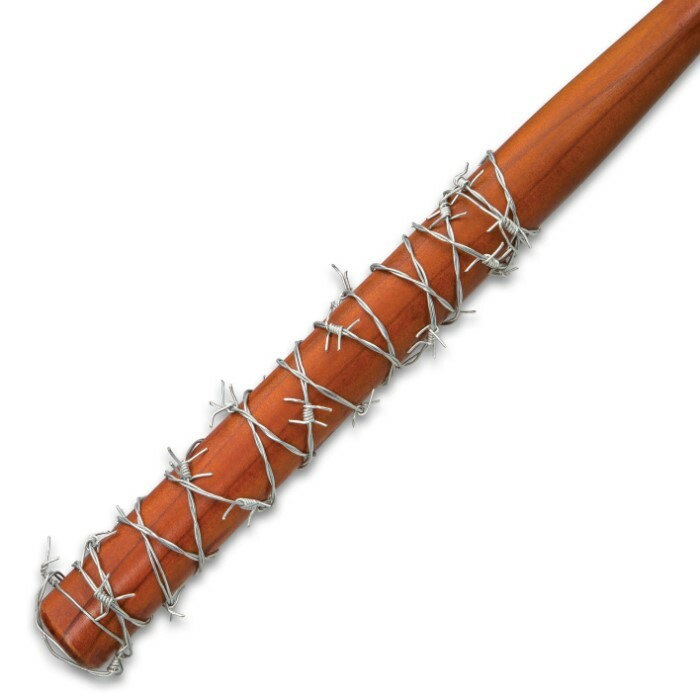 She will shut that ship down and you’ll be scraping zombies off the fence faster than you can say “Hilltop.” More than a mere novelty and certainly not a toy, this regulation-sized hardwood bat is wrapped in savagely spiked genuine barbed wire. It’s as much at home smashing zombie skulls as it is resting on your mantle - a bold, eye-catching homage to your favorite television series. 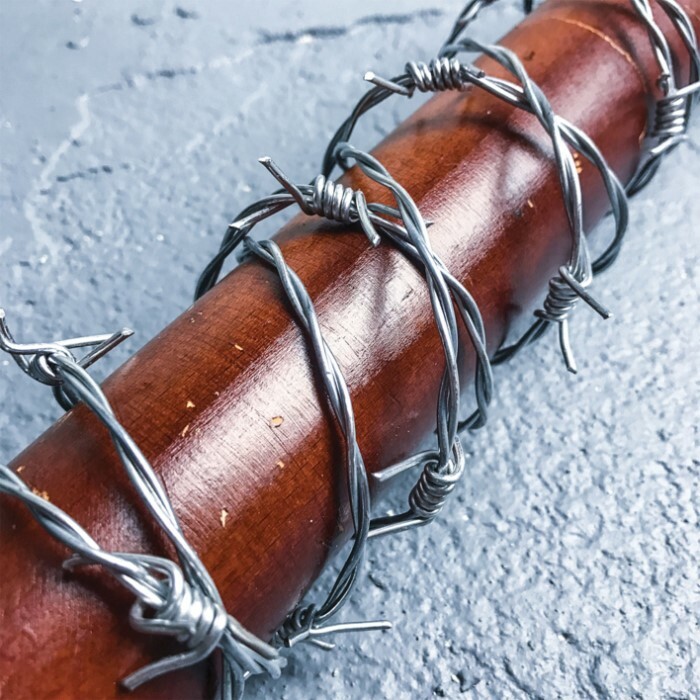 Don't pay more for cheap plastic-and-foam knock-offs; get Lucille in all her brutal barbed wire-wrapped glory for less! Quantities are limited - get yours today before they’re gone! 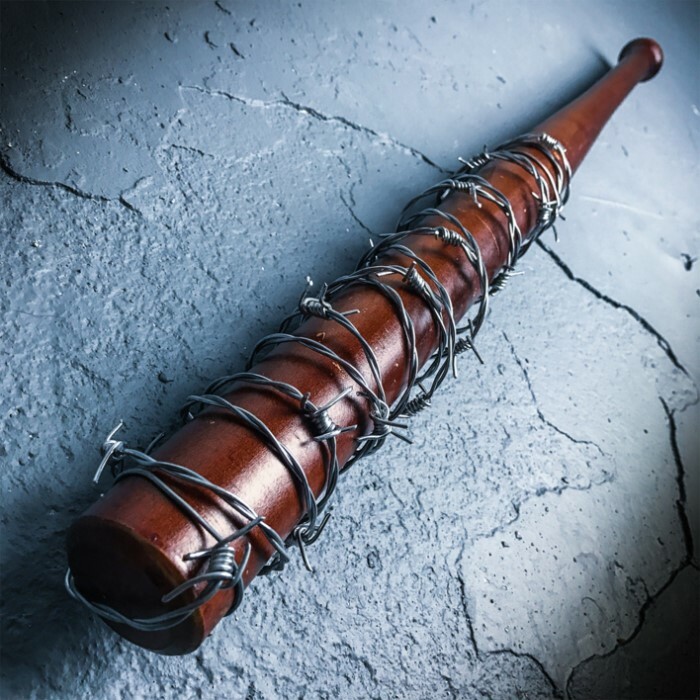 I bought it for my wife who's a huge Walking Dead fans The bat has weight, is a nice rich color, and the barbed wire is tight. She absolutely loved it Delivery and overall order experience was easy and on time. If you are a dead fan you will love this for yourself or to give as a gift. My husband loved it! It will make a great collectible from the show! I would highly recommend this as a gift to be used as a display ONLY item! The barbed wire was wound titer than I expected. 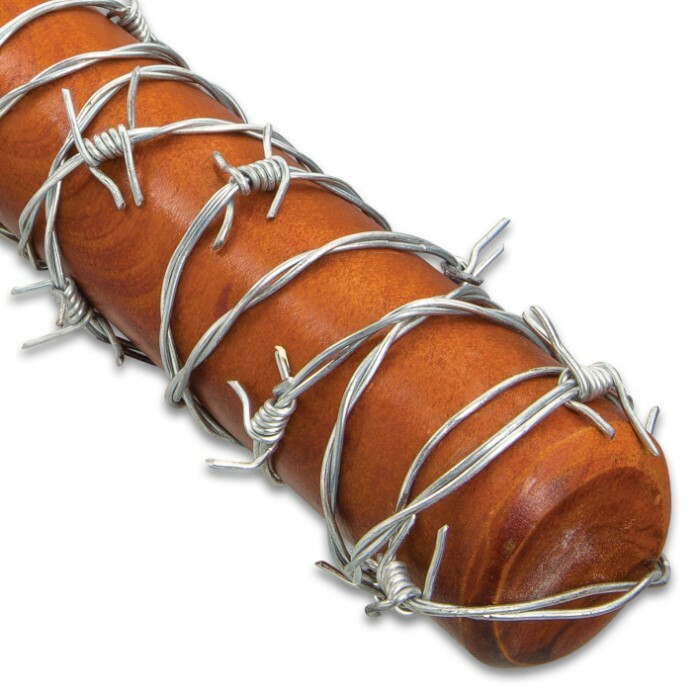 Lucille is nice! I received Lucille in today. 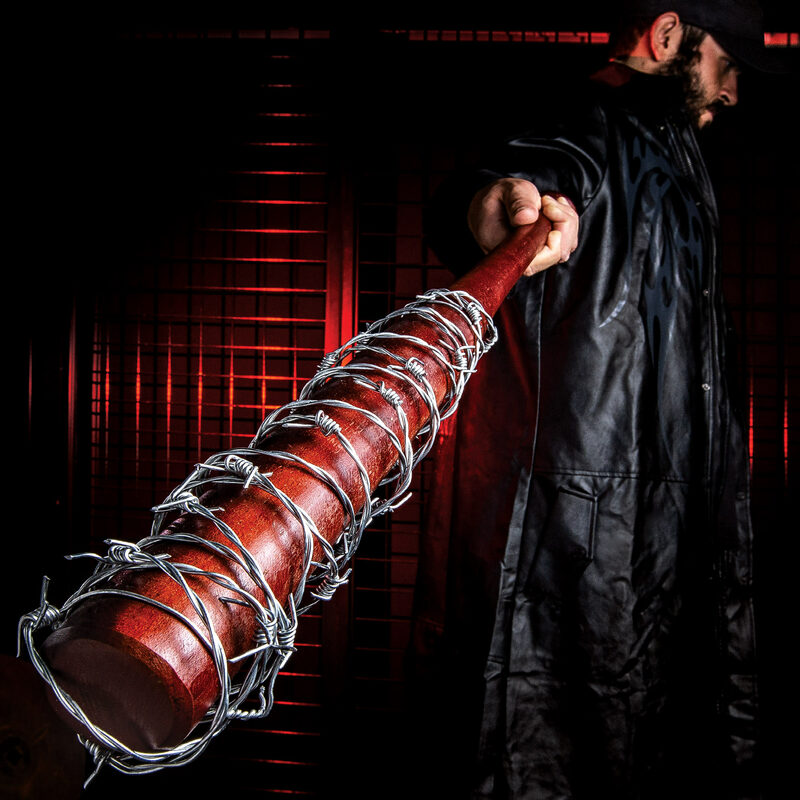 The bat has weight, is a nice rich color, and the barbed wire is tight. Delivery and overall order experience was easy and on time. My son is a hugh Walker fan , this will be a great addition to his other collectibles! I just love this bat. I bought it for my Daughter for Christmas. 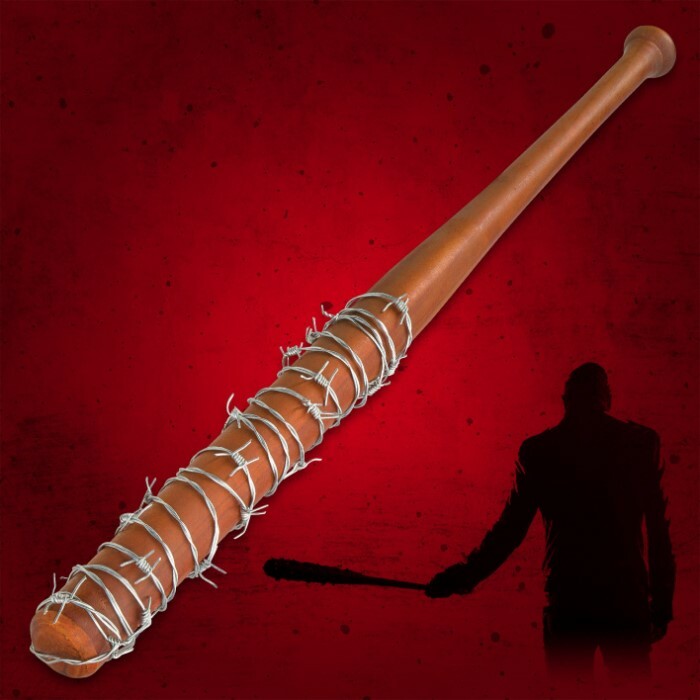 I think she will like it very much, as she is a avid fan of 'The Walking Dead" Other reviews may say it's not full size, or the real thing, but I am completely satisfied. And I would hope she doesn't go swinging it around as it could do some damage! I bought it knowing that it is a replica and should only be used as one. Looks very impressive hanging on the wall and that's just what its good for. You would never get away with carrying this thing around for personal defense. People complaining don't understand what it's for, DISPLAY. Everyone complaining mentions it's use like they actually plan on hitting something or someone. Smh. Really,? It's a great replica and for that it's perfect!! Bat is real hard wood, but readily apparent that not full size. Length is about 30 inches, which is okay for a shorter person but professional bats are 32 to 34 inches. Most noticeable is the diameter 1 5/8 inches, so it is an inch smaller than a professional bat. Other than the dimensions, the bat is satisfactory. I got mine and gave it one good swing when the barbed coil slid partially off. Haven't hit anything yet. Gonna try to super glue later, see how that works. needs more coils of wire wrapped tighter and fastened to the bat somehow.